Amazon Kindle Coins: For the Love of God, Why? 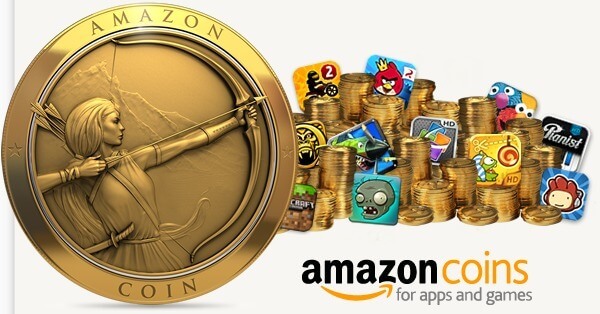 Amazon today launched their highly anticipated Amazon Coins for Kindle Fire users, marking the occasion by giving both existing and new users 500 free coins (worth $5). The coins are good for purchasing apps, and for in-app purchases, but not for content. All of which leaves me scratching my head and wondering: what the heck is Amazon thinking? What possible value can this bring, except to throw more money at a product already struggling to be anything but a loss-leader for the retail giant? Oh, sure, for existing Amazon customers this will be a nice little bonus, but I find it hard to believe that this is even an effective strategy for ecosystem lock-in, at least when compared with giving users one free paid app per day, or the benefits that come from having an Amazon Prime membership. $5 worth of free stuff is at best a bit unlikely to dissuade someone from switching platforms who was already leaning that way, and anyone who wouldn’t buy a $199 Kindle Fire without those 500 free coins is likely a huge cheapskate. I keep hearing that Amazon is a stock that will help you retire comfortably, but as I look at the company of late, what I see is a typical retail giant strategy of running on razor margins. Worse, I see a company blowing all its profit on ventures which are of dubious value in the long-run. Sooner or later the Kindle Fire series will have to turn a profit, but it’s hard to see how it ever can given the device itself runs anywhere from a loss to a bare profit, with any possible profit being blown on more and more free stuff for users. Giving their CEO Jeff Bezos credit, Amazon thought it wise not to miss the mobile computing revolution, and has certainly done a better job of buying their way into it than Barnes & Noble, but without massive profits coming from any other divisions (not even their core retail business), this seems more like literally buying time than establishing themselves for the long-haul. Essentially, each new Kindle Fire customer Amazon adds is less valuable than the one before them, especially if each new customer acquired requires more and more incentives in the form of free stuff to get them to buy-in. Whereas Google can deal with the high-margin downstream software and content side of the business, while their partners specialize in the low-margin hardware side, Amazon is having to do both and deal with low-margin retail sales at the same time, a “Terrible Trifecta” no smart company wants to tackle on its own. Nor can they count on the market-gravity-defying high margins of Apple, or the high upstream margins of Microsoft software licensing. To their credit, Amazon tries to sweeten the deal by offering a 10% discount to consumers for using the coins over traditional payment methods, but if they’re already struggling to get people to spend money downstream, and they must be to have decided they needed this, it’s hard to imagine many will spend the $45 or $90 at-a-pop that they’ll have to spend to get any discount. Especially when, bizarrely enough, the coins are useless for purchasing content (outside of apps with in-app content purchases), despite content being the one area where Amazon’s ecosystem shines over Google’s. How many people are even sure enough they’ll spend that much on apps or in-app purchases over the lifetime of the device? To be fair Amazon already offers content deals through their on-device ads, and one can find free content daily as well, but the smart consumer can use these in a way that actually costs Amazon money rather than making them any profit, and I strongly suspect most do. Between these, free paid apps every day, bare-margin or loss-leading hardware costs, and now $5 of free Amazon Coins, not to mention whatever costs are associated with developing their own Android skin for Kindle, can someone please tell me how Amazon will ever make money from this? If there’s a way forward, I’m just not seeing it. This isn’t exactly a groundbreaking idea, either. Anyone remember Facebook Credits? How well did those work out? As I recall, Facebook dumped the idea a while back in favor of more traditional payment methods, ironically one thing Amazon does have in spades (Google wishes they had as many payment records on file as Amazon). I can’t recall a single experiment of this sort that has ever worked for long. And while Amazon is busy throwing as much money into the Kindle hole as possible, their biggest competitor Google is getting into the Shopping game, which happens to be working by the way. Meanwhile when was the last time Amazon made a significant improvement to their online shopping experience (not counting Prime, which only really improves the shipping experience)? Maybe Amazon should spend less time on silly gimmicks like this, and more time figuring out how I can find what I’m looking for from the search bar without having to figure out which of several sections I should go to for the best results? Or giving third-party retailers less reason to focus on Google Shopping instead of Amazon? While they experiment with this unprofitable venture into an area outside their expertise, their core business may well be slipping away from them. Maybe I’m being premature. Maybe Amazon Coins are the next big thing in mobile payments that will take the world by storm. And maybe the next HTC Facebook phone will be that one that really takes off. Somehow, though, I seriously doubt it. Bezos may be a retail genius, but I think he has a long way to go to prove he understands the mobile market nearly as well.